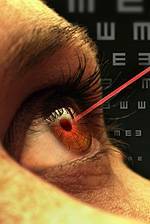 In addition to yearly eye care services, we provide specialized services. From eye exams and contact lens fittings, to laser vision correction and corneal mapping, our optometrists providecomprehensive eye care to patients of all ages. We also treat a range of conditions such as glaucoma, the diabetic eye, dry eye and macular degeneration. An exciting way to correct your vision without eyeglasses, contact lenses or surgery. Find out if you are a candidate. Our doctors have extensive experience with diabetic eye disease. Our doctors are board certified in diagnosis and treatment.